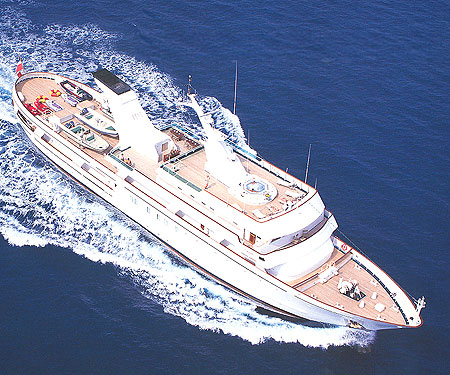 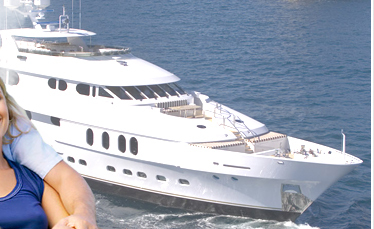 Yacht Esmeralda offers you the ultimate experience in luxury and style while enjoying a crewed motor yacht charter, super luxurious motor yacht "ESMERALDA" is one of the most spacious yachts on the charter market today. 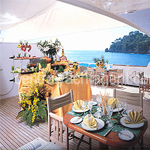 This power boat is ideal for large private parties of up to 22 persons. 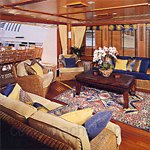 Each of the 11 staterooms is on the main deck, and have large windows, with natural lighting. 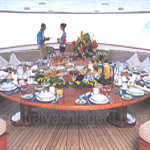 Four deck levels allow for a variety of activities. 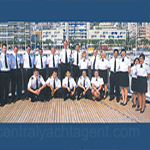 Combine all these elements with the unrivalled service afforded by a top class crew of 19 and you have all the ingredients of a most memorable cruise.